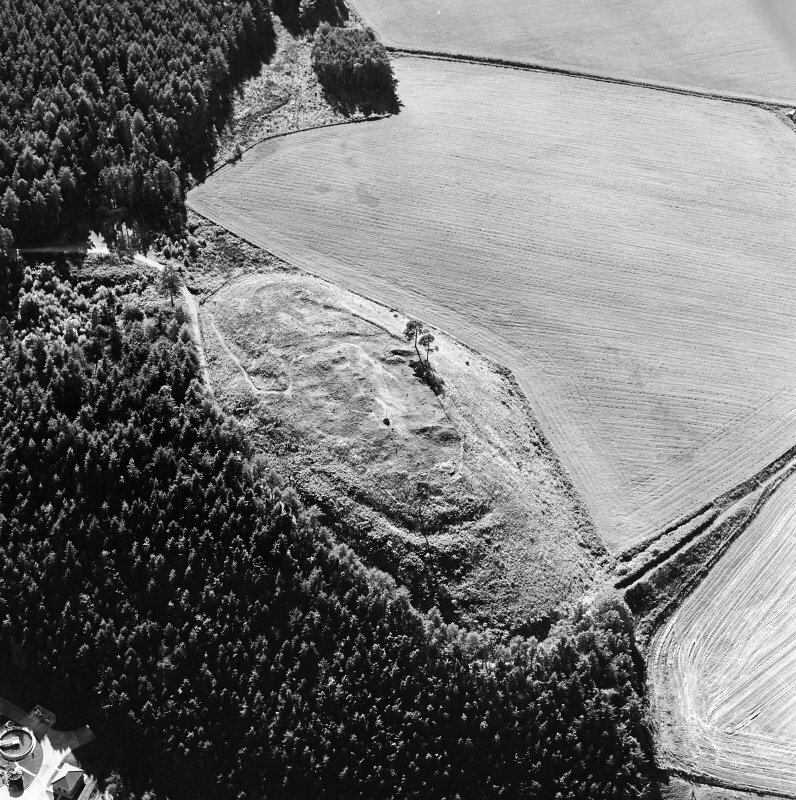 Oblique aerial view centred on the remains of the castle and the possible fort, taken from the NE. 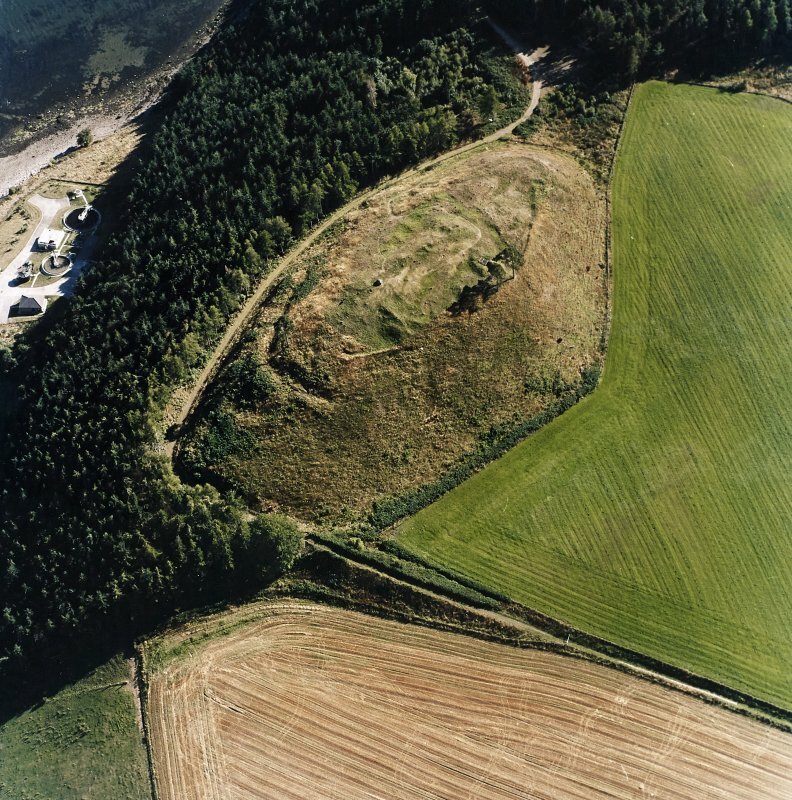 Oblique aerial view centred on the remains of the castle and the possible fort, taken from the SSE. 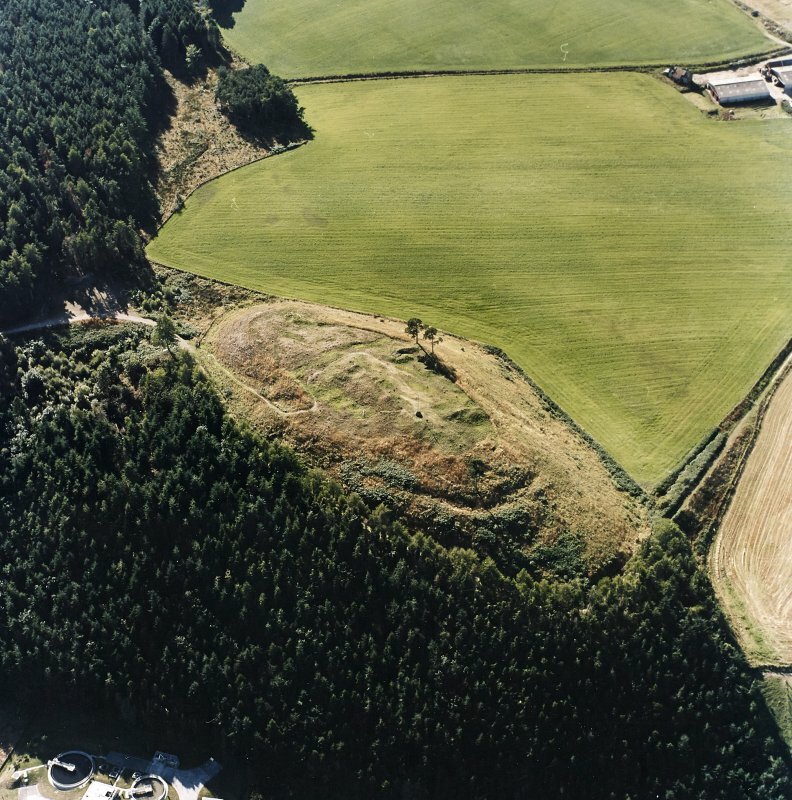 Oblique aerial view centred on the remains of the castle and the possible fort, taken from the E.
Oblique aerial view centred on the remains of the castle and the possible fort, taken from the ENE. 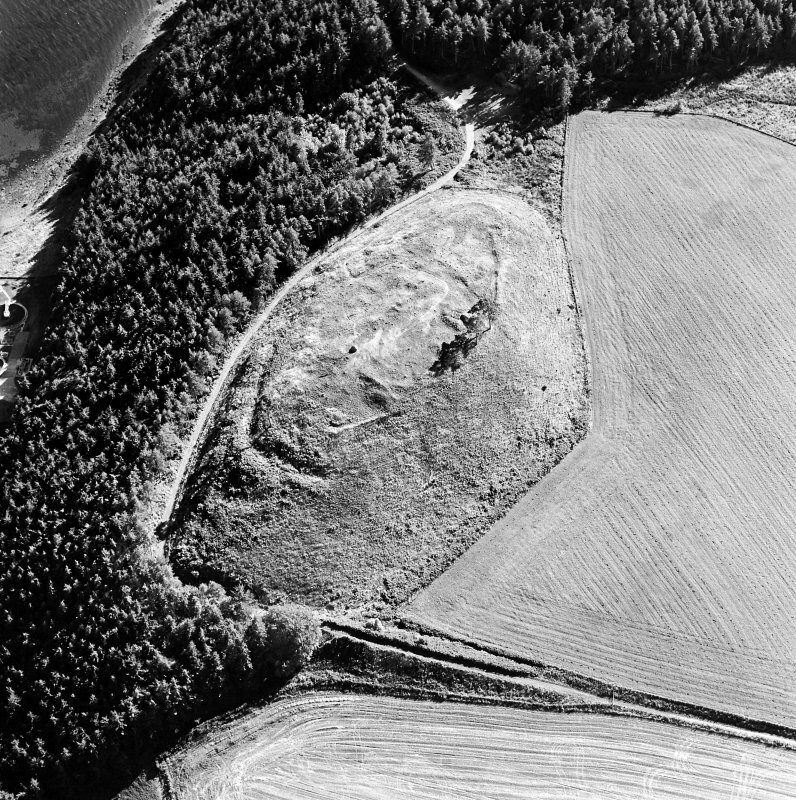 Oblique aerial view centred on the remains of the castle and the possible fort, taken from the SE. 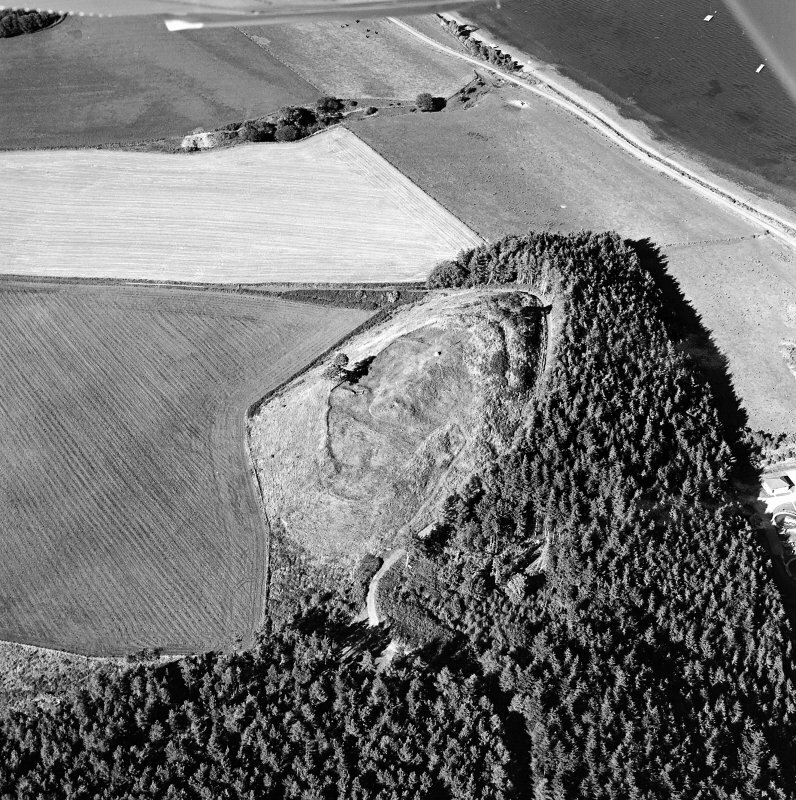 Oblique aerial view centred on the remains of the castle and the possible fort, taken from the SSW. 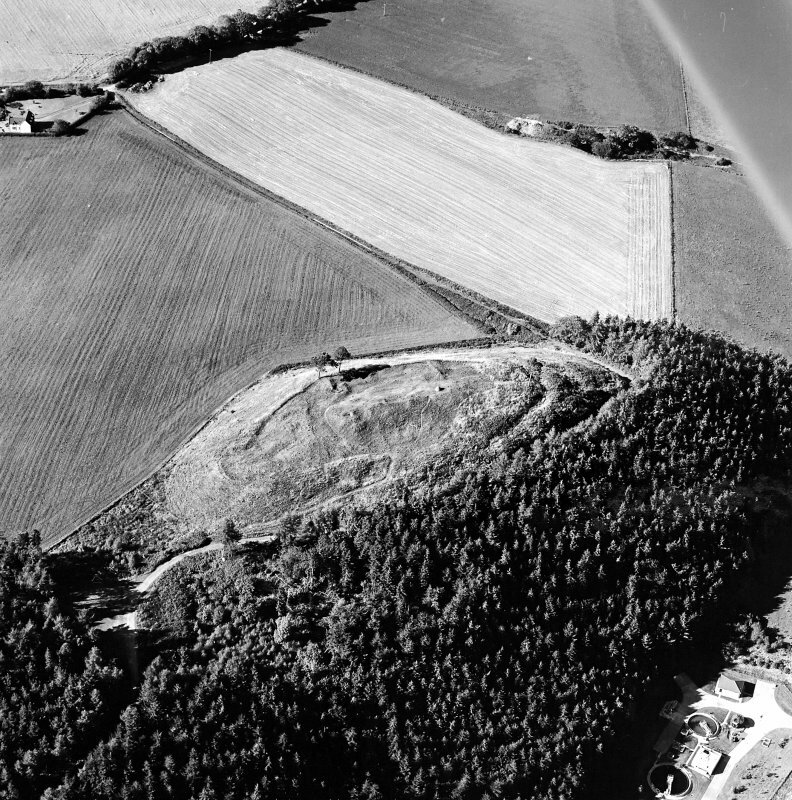 Oblique aerial view centred on the remains of the castle and the possible fort, taken from the ESE. 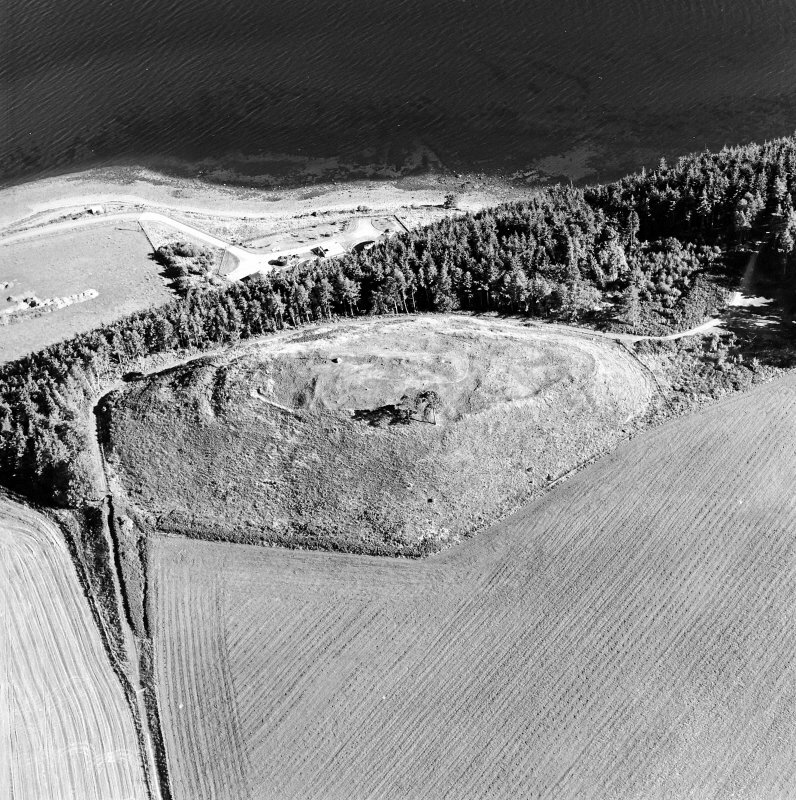 Oblique aerial view centred on the remains of the castle and the possible fort, taken from the WSW. 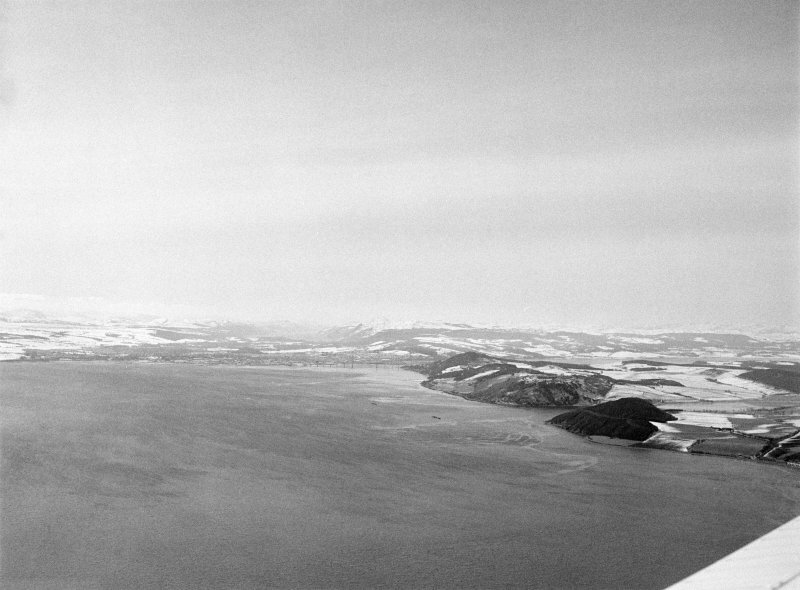 Distant oblique aerial view centred on the Moray Firth and Munlochy Bay to Inverness, looking to the SW.
Oblique aerial view centred on the remains of Ormond castle and possible fort, taken from the NE. 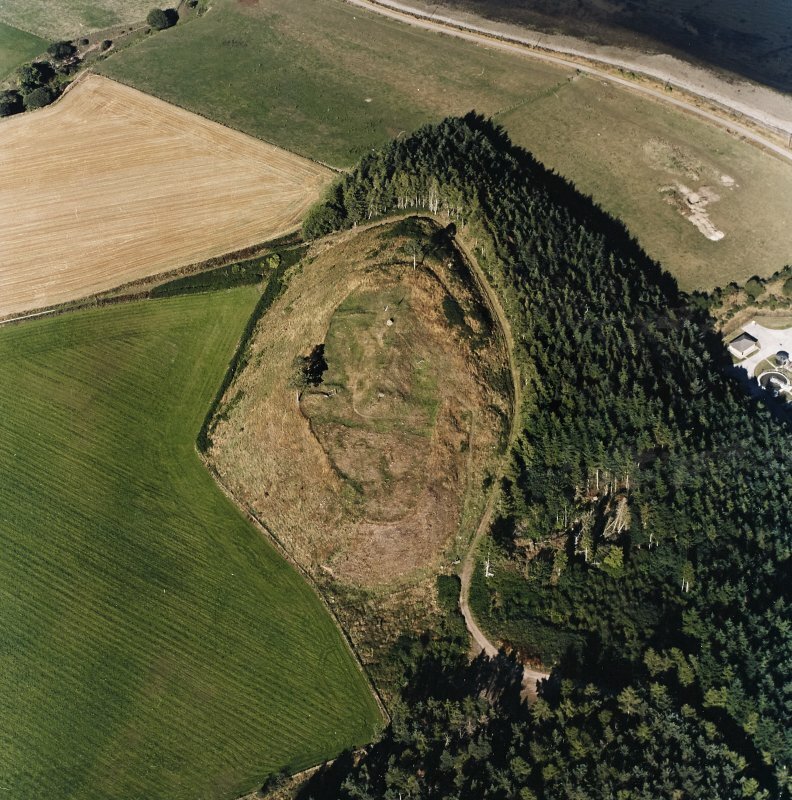 Oblique aerial view centred on the remains of the castle and the possible fort, taken from the NNW. 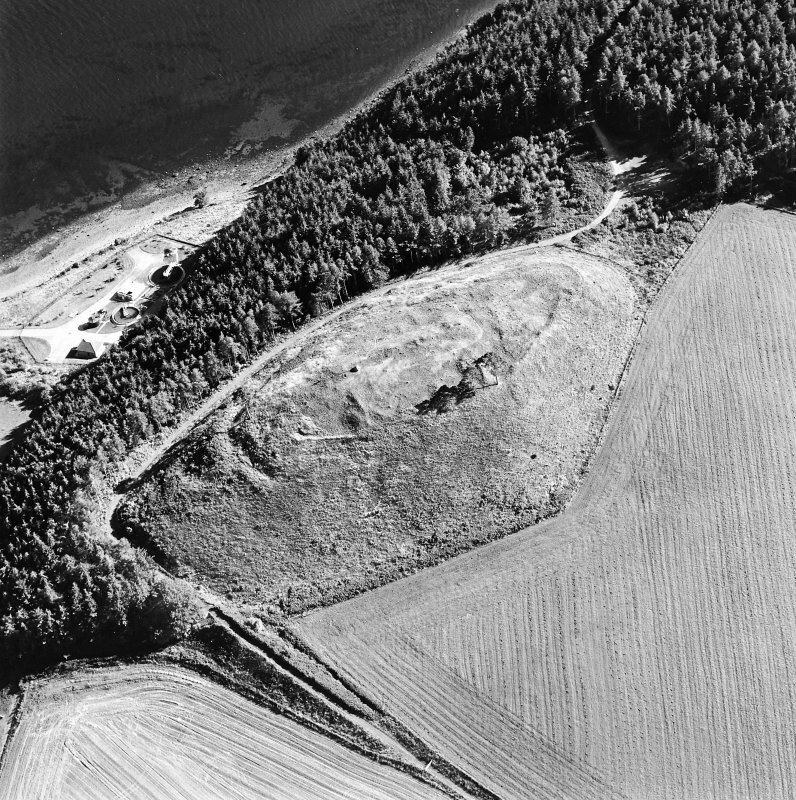 Oblique aerial view centred on the remains of the castle and the possible fort, taken from the NW. Oblique aerial view centred on the remains of the castle and the possible fort, taken from the SW.
Oblique aerial view centred on the remains of the castle and the possible fort, taken from the N.
Oblique aerial view centred on the remains of the castle and the possible fort, taken from the NNE. For bronze axe hoard from 'Ladyhill' traditionally linked with this locality, see NJ26SW 121. Ormond Castle, or the Castle of Avoch, was the seat of the Ormonds, and is said to have been one of the royal castles built c.1179. There are early references to the "Mote of Ormond'. It is said to have been destroyed on the approach of Cromwell's army c.1650. The castle appears to have been of coarse red sandstone and lime. Only the foundations remain. 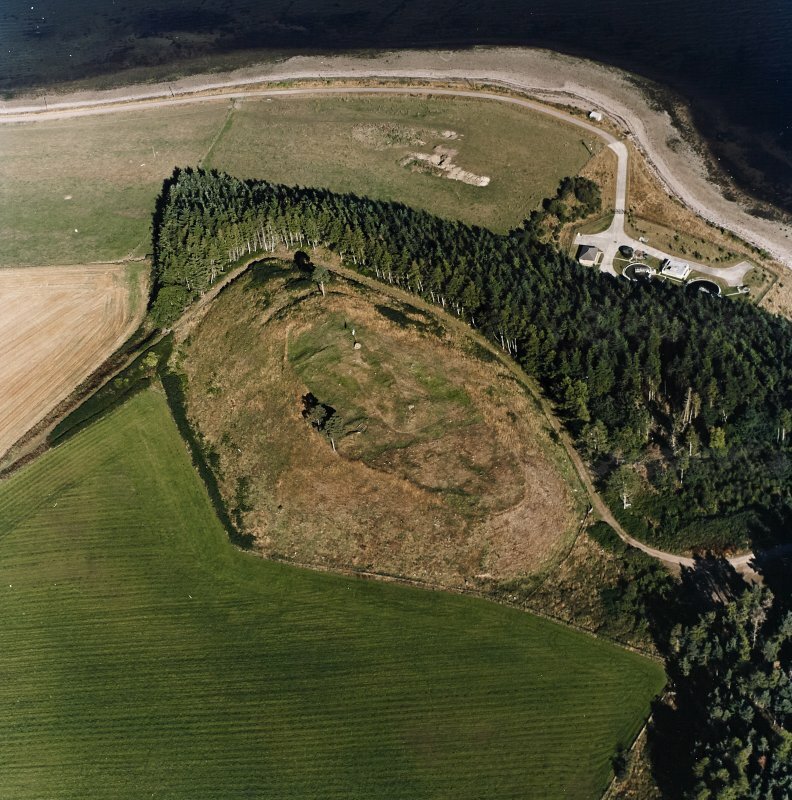 The site was partially cleared by Beaton, who believed that some of the tower foundations, which appear to be circular, would prove to be rectangular, as did tower 'A' on the plan. The outer defences on the NE follow the contour of the hill. According to NSA (1845) these are composed of three breastworks with median ditches, but Beaton (1885) mentions only one ditch. NSA 1845; A J Beaton 1885. The remains of Ormond Castle are generally as described and planned by Beaton: the walls are mostly reduced to vague turf-covered footings 0.3m in height. 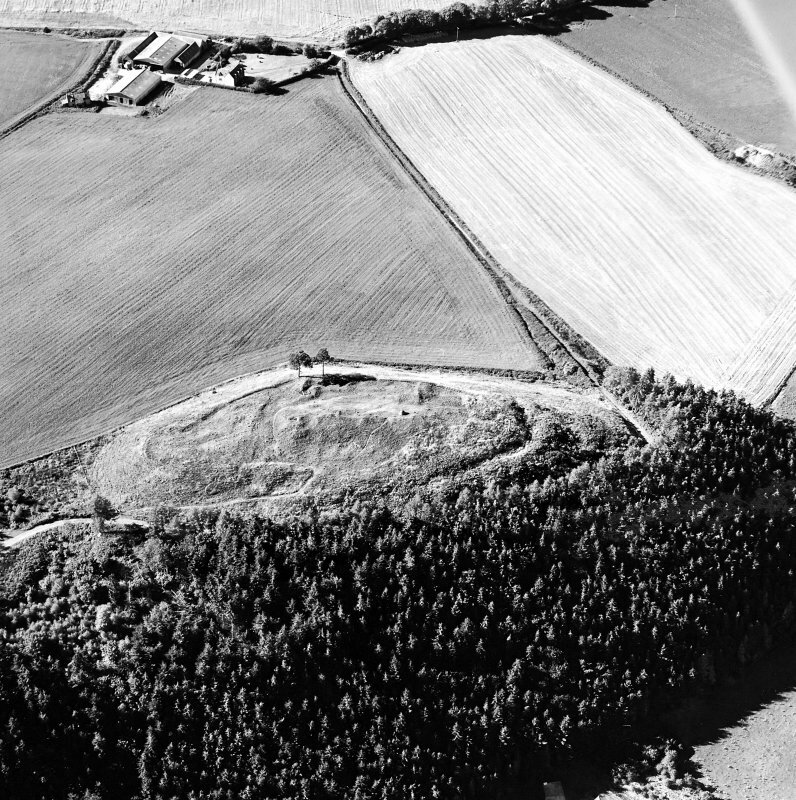 The castle consists of three courts aligned NE and SW and occupying the summit of Ormond Hill. The central court contains the foundations of two oblong buildings, and incorporates the footings of four towers or turrets in its SW and SE walls. The entrance, of which no trace remains, was probably in the SW side. The NW and SE walls are extended to the NE to form, at a lower level, a semicircular court containing an oblong building foundation; and incorporating a fifth tower in its SE arc. There is no trace of the wall shown by Beaton (1885) within this court. At the opposite end of the central court the NW wall extends to the W and S to delimit the third court, the NW arc of which incorporates a tower additional to that shown by Beaton. To the NE, where the slopes of Ormond Hill are slightest, there are also the remains of two banks and ditches. There is a stone-lined well, within the W tower of the inner court and on a shelf to the SE of that court, is a rock cut basin shown by Beaton (1885) as a well. The approach through the outworks runs NE and upwards on to this shelf. Visited by OS (N K B) 17 March 1966. 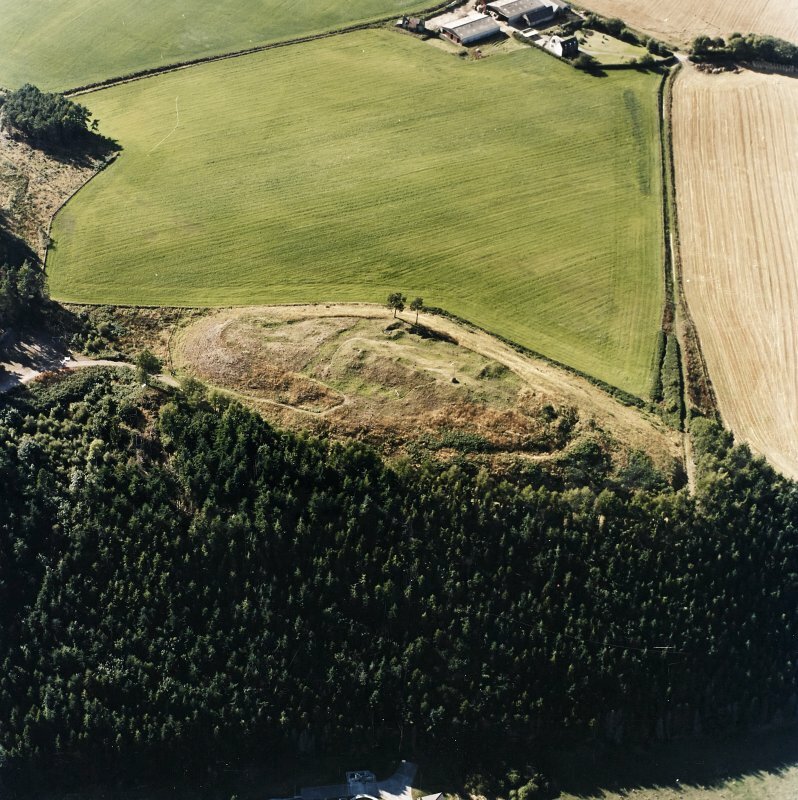 The earthworks around the NE shoulder of the hill comprise two ditches with outer banks, the inner of which contrives around the NW and SE sides of the hill in the form of a terrace reminiscent of an IA fort, for which the hill is eminently suited. However the clear-cut nature of the ditches in the NE suggests a later date. Visited by OS (N K B) 3 December 1970. For possible hoard of flat bronze axes, said to be from this area but more probably from the Ladyhill district of Elgin, see NJ26SW 121. It appears probable that Beaton included these in his account of Ormond Castle on account of their having been presented to Elgin Museum by James Fletcher of Rosehaugh, a nearby property. Information from RCAHMS (RJCM), 20 April 1990. 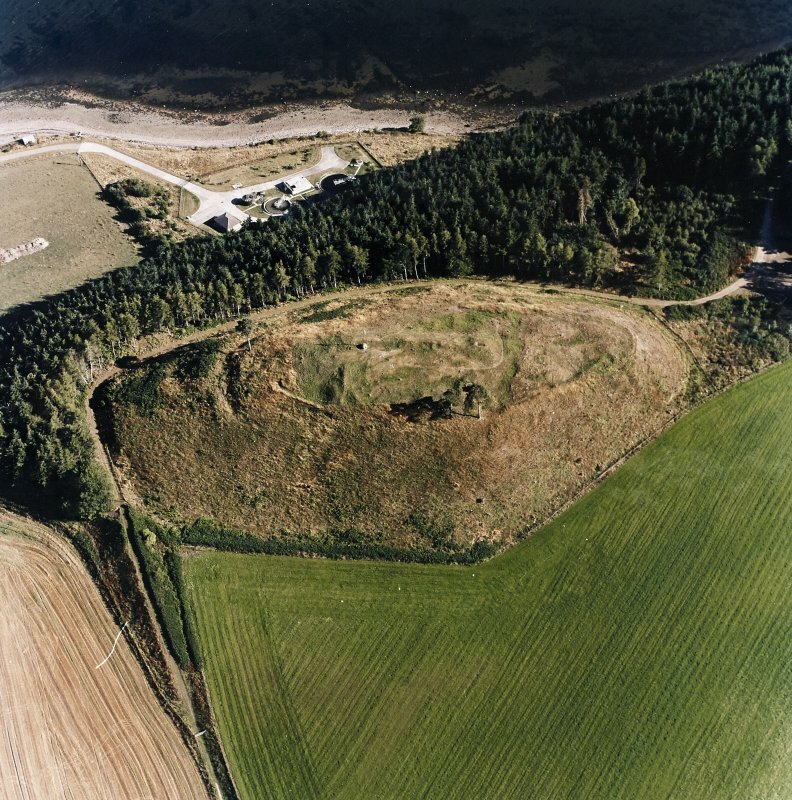 Castle / motte (supposed); hillfort? - outside survey area. of the plan, using the processed aerial photographs taken from a quadcopter flyover on the second day. The flyover produced some impressive 3D images of the castle and its features which gave a greatly enhanced overall picture of the fortification. 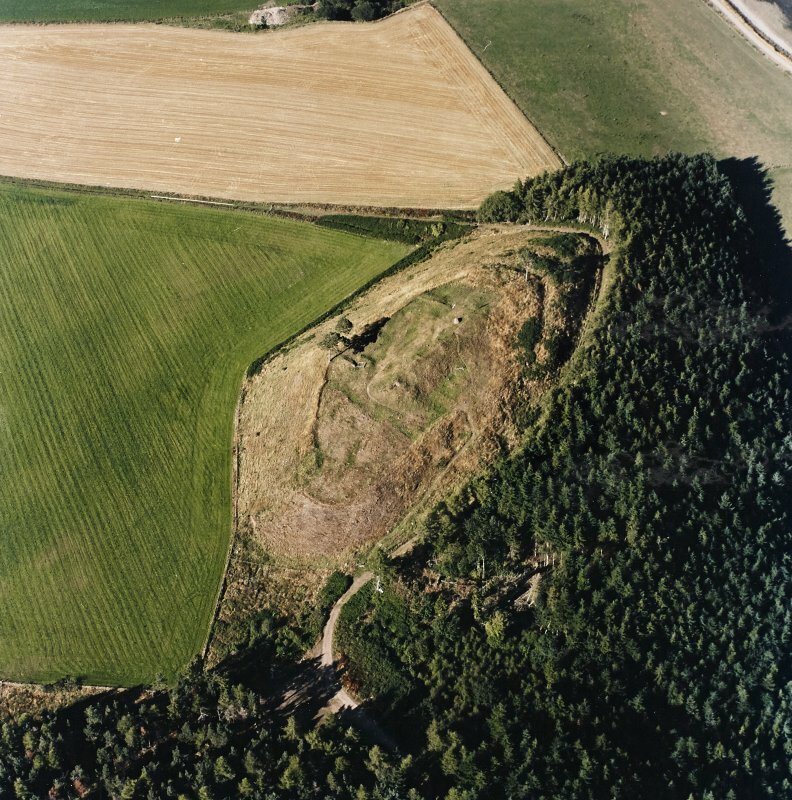 The remains of Ormond Castle may stand within the remains of an earlier fort enclosing the whole of the summit of Ormond Hill, which forms the low NE spur of Wood-hill. 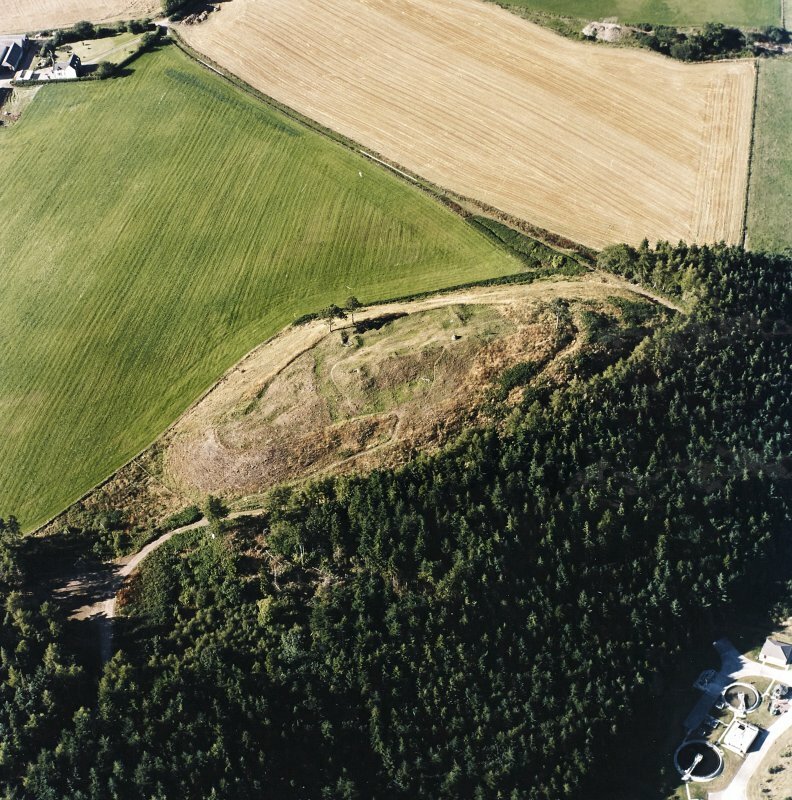 The margin of the summit area all round the hill is defined by a pronounced lip, from which the ground falls away steeply on all sides, along the SE flank some 60m to the W shore of the Moray Firth, but elsewhere between 5m on the SW to 20m on the N. This lip probably marks the line of the rampart of the fort, though it has been roughly adopted by walls enclosing outer wards of the castle, the core of which is rectangular on plan and lies eccentrically across the centre of the fort. 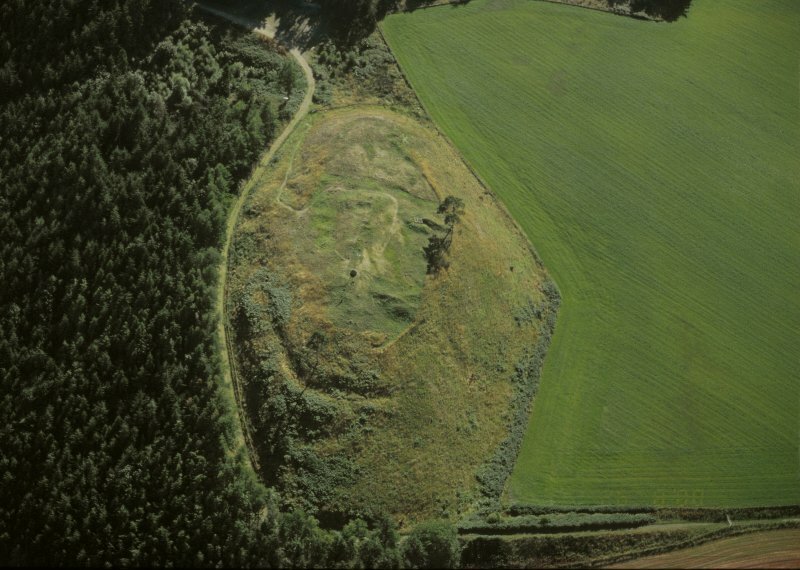 Thus defined, the fort measures about 130m from NE to SW by 45m transversely (0.45ha), and at the NE end the rampart was accompanied by an external ditch with a counterscarp bank, while a little further down the slope another arc of ditch with an external bank can be seen; the inner of these can be traced as a terrace some way along the NW and SE flanks. 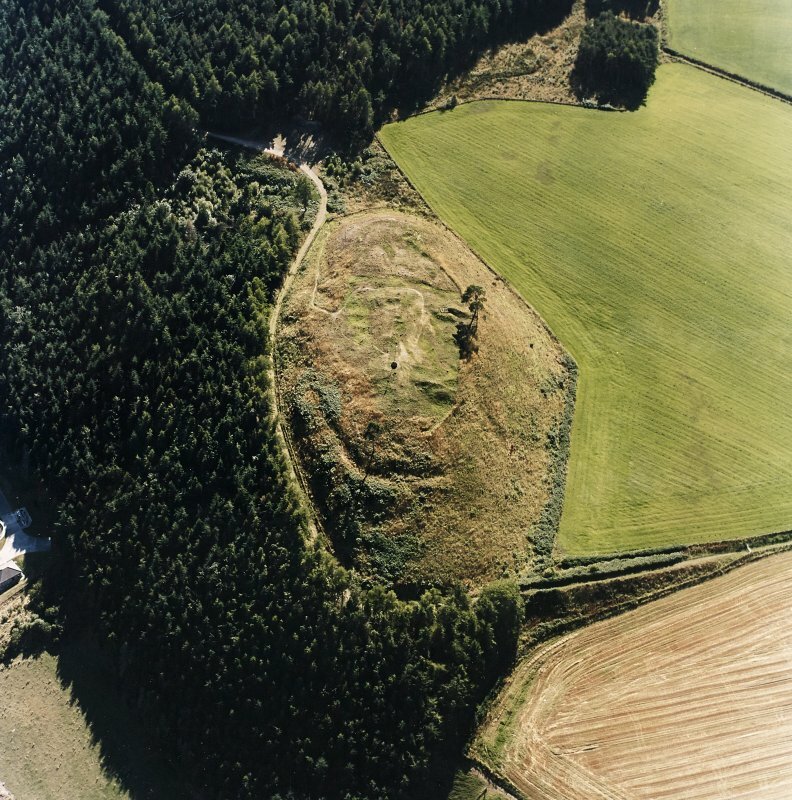 If this is indeed an earlier fort, no structures relating to its occupation are visible beneath the ruins of the later castle and the position of the entrance is unknown, though a track obliquely mounts the SE flank from saddle on the SW.